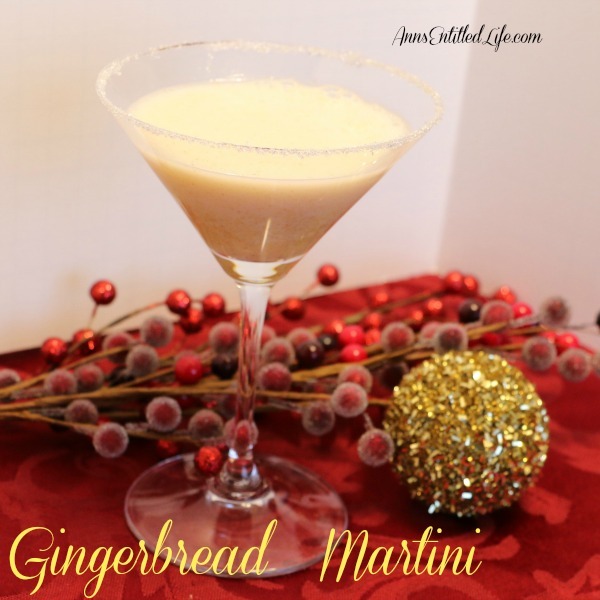 This Gingerbread Martini recipe is a festive holiday cocktail that tastes just like gingerbread. • Rim two cocktail glasses using spiced rum for the wet, and white decorator sugar for the dry. 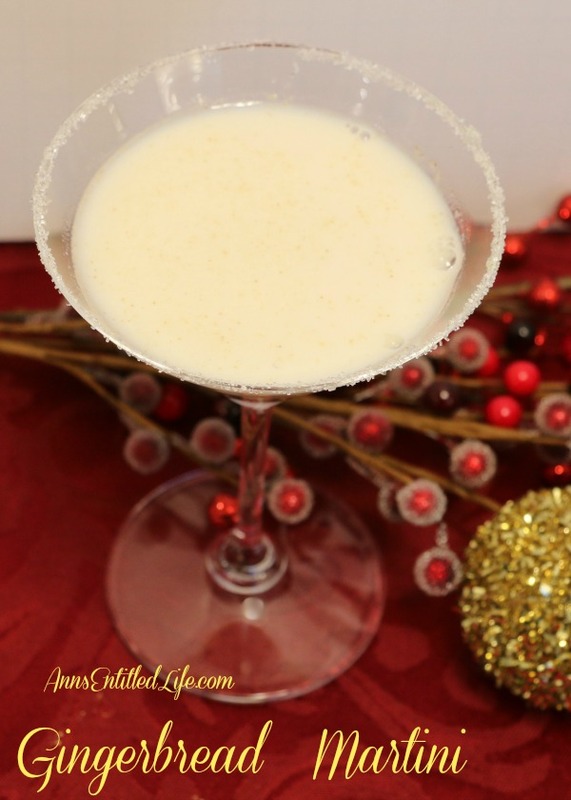 • Add the RumChata, Spiced Rum, Ginger Liqueur and Ginger to the cocktail shaker; shake well. • Strain into your rimmed cocktail glasses. If you like ginger and/or gingerbread, this is the drink for you! It honestly tastes like a gingerbread cookie mixed with cream. You could up the amount of ginger spice, or dial it back if it is too strong. You could also sprinkle a bit of ginger on top of your finished drink before serving. 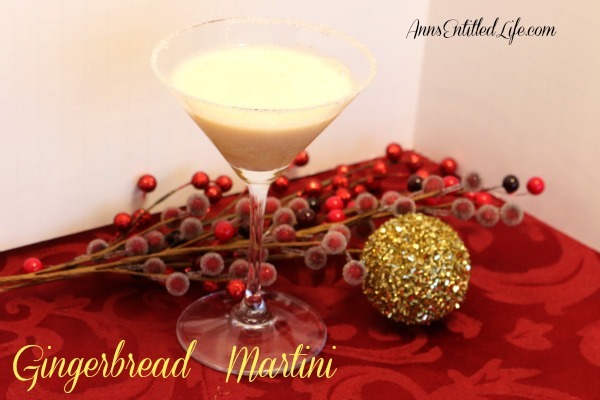 • To print the Gingerbread Martini , click here.